As a serious Tea Party Girl, I have been given a ton of fantastic tea themed gifts over the years. If you are buying a gift for a hostess, friend or family member who is a tea lover here are a few suggestions. First off, know this…. THEY CANNOT have enough tea related items. They love them, prize them, collect them, share them and find them adorable. It’s hard to go wrong with a tea party themed gift. Next, with a few suggestions from my list you can really score you big points! 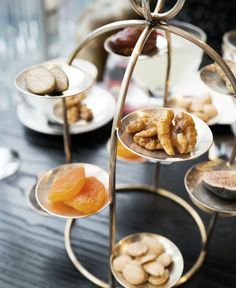 Tea Words – If your friend has just created the ultimate tea party treats then why not help them go over the top with these fun canape sticks with clever tea sayings. These are popular in Britain and any realy tea party lover will squeal with delight. Teapot Vase – This is awesome! This teapot vase is a simple, foldable cardboard that you can use again and again. There is a different teapot image on each side of the vase. Tea Apron – This retro print tea apron rocks! It would work well for anyone who loves tea. Personally, I would throw this on with jeans and a t-shirt and wear it around town… it it that cute! This comes from an Etsy designer so I am sure it’s limited. Tea Party Banner– The hostess with the mostess probably doesn’t have one of these. Cute and custom. Breville Tea Maker – One touch tea maker that uses the perfect water temperature and steeping time and makes it super easy to make great tea every single time. Tea on the Go – Tea is best when it is drunk throughout the day. This tumbler allows you to make great loose leaf tea on the go. I love the removeable strainer. Color Changing Electric Kettle- This amazing cordless kettle can boil water, hold it at precise temperatures and changes colors so you can easily tell how hot the water is without walking over to it! This is a serious water maker! Dress Up Trunk – When I was a girl my Aunt made me a dress up trunk filled with costumes. I wore these costumes or used pieces of these costumes all the way through college! (I was a theater major) Costumes are a little girls best friend especially when it comes to tea time. Girls Tea Party Hats – A hat can dress up any outfit and make tea time a “formal” experience. These hats are affordable and cute. Every little girl should have one! Tea Pot Crayons– This is a fun favor or a special gift for a little hostess. Made by an Etsy artist, these recycled crayons will provide hours of colorful fun. Little Onesie – For the super cute, infant tea lover, this custom tea onesie is a must have. The tea cups are adorable and leaves every guest begging to hold the hostess! The New Tea Companion – Jane Pettigrew’s classic book has recently been updated with the help of Bruce Richardson. This book provides a sound understanding of tea, tea history, brewing and cultivating loose leaf around the globe. Harney Guide To Tea– This is a serious tea book. Basically a Tea 102-103 level text on individual tea, brewing times, cupping profiles and world wide regions. This book is written by Michael Harney a master tea blender. Tea Stamps- Why not buy custom stamps for the tea lover in your life? These are under $20 and can be used on their next tea invitations. You will be a hit for sure because this is a rarely thought of item. Tea Bag – Perfect for groceries, books or tea treats! This canvas bag screams serious tea geek. Tea Thermos – Ok, I have to admit that I really would like someone to buy this for me! It is cool and I am one of those “tea lovers” that takes tea with them regularly. This thermos is stainless steele but has a custom tea image on it with one of my favorite tea quotes. You will score with this gift. Tea Mug – This is perfect for a co-worker who loves tea and has a stressful job. The tea humor on this simple mug will make them smile everytime they fill it. Tea Time Magazine – This is a beautiful magazine which makes a great gift. For many years I have given magazine subscriptions for Christmas gifts. Your friend will think of you each and every month. 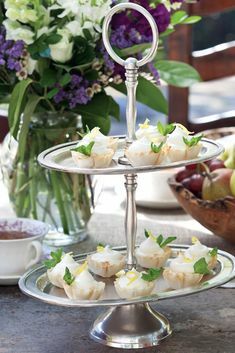 Semi Homemade Magazine – Sandra Lee always has great tablescape ideas perfect for tea time. Grand Tea Urn – This is just lovely and can be used for tea or tea water. If you are looking for a “wow!” this will do it. Fortnum and Mason Tea Hamper- Fortnum and Mason is a famous store in England. Let’s just put it this way,,, the royal family orders from here! (get it.) F&M has a variety of super cool tea hampers filled with quality loose leaf tea, biscuits (cookies) teapots and teacups. 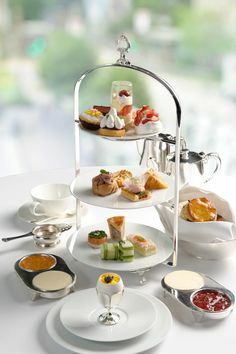 Tea Tour To London – Denise LeCroy leads impressive tours to London England with a complete tea focus. This is how memories are made. ANY tea lover would be crazy about this tour. Her most recent tours include a Master Class with Jane Pettigrew. Tea Party Girl Asks: What gifts would you add to this list? Give us a link and share your choices! Yay I’m so excited! And this is such a great post too, my mom and I are big tea people. Can’t wait to try out your other recommendations! I found a great place to get tea related gifts online for all ages. 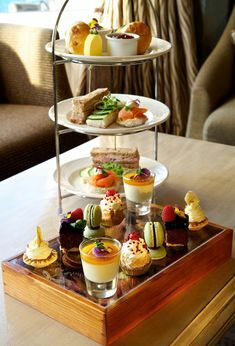 It’s called Tea Party On A Tray, thats just what it is. 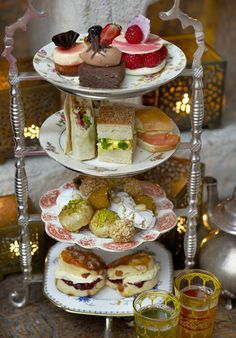 Everything on a tray for a tea party, it has the teapot for starters, cookies, nuts, cheese straws, candies, teas, stir sticks and poetry. They ship, write on the gift card for you too. Theres even childrens tea sets with decafinated, organic tea, goodies. Love tea, you just have to check it out, i am sure you will agree. thanks for this great list. I’m always looking out for tea gifts for others (and myself-I just can’t resist). I am always in search of vintage tea books-have you come across any you love or site that has them? I read that a nice candle can make a good hostess gift. 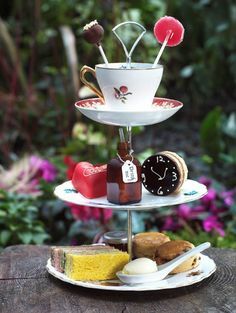 Especially for someone who is throwing a tea party, but isn’t really a serious tea drinker. Candles are always a nice gift. There are even a few tea scented candles out there. That would be a great gift for a tea lover. Love the ideas. How about those little demitasse spoons, sugar tongs, or forks? They can be fairly inexpensive. Or start their tea set. Add a piece of china, linen or silverware for holidays, birthdays, anniversaries or just because. I love the idea of a piece of china or collecting a tea set for a gift piece by piece.